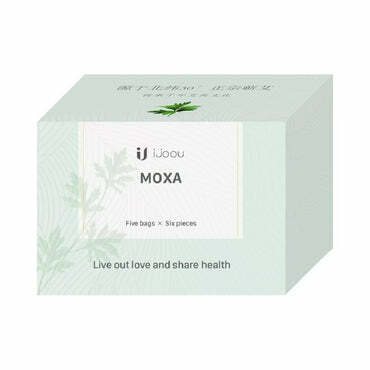 The iJoou Smart Moxibustion Thermotherapy Device can ease your sore muscles, relieve tension, and accelerate your recovery after exercising or just a long day at the office. Natural, effective, and easy to use, it brings a centuries old traditional healing method into the 21st century. Moxibustion is a form of acupuncture that improves the flow of Qi— the energy in the body— by the heating dried plant materials called "moxa", thereby stimulating nerves and releasing endorphins to block pain. 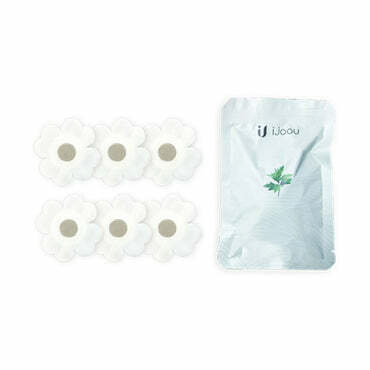 By pairing this traditional method with state of the art electric muscle stimulators, iJoou works to instantly relieve pain, improve blood flow to sore muscles, and soothe the mind— leaving you feeling refreshed, rejuvenated, and relaxed, while also improving your immune system. Smoke free and perfectly sized to fit in your pocket, iJoou is convenient to carry with you and use just about anywhere. Simply attach the natural Moxa filter to the Moxibustion device, attach it to your body, and select the perfect temperature. The effects are instant, so you feel better, recover faster, and can get back to living your life without pain. 100% Secure Checkout If you choose a direct payment gateway to complete your purchase, then Shopify stores your credit card data. It is encrypted through the Payment Card Industry Data Security Standard (PCI-DSS). Your purchase transaction data is stored only as long as is necessary to complete your purchase transaction. After that is complete, your purchase transaction information is deleted. 【30 Days Money Back】Customer satisfaction is our number one priority and we stand by our 100% Money-Back Guarantee on products purchased directly from us. If you are not happy with your merchandise, simply notify us for a full refund or exchange within 30 days of the purchase date. How to return? 【Free shipping】Free worldwide shipping for orders over 100$.